Trekking in Bhutan is considered as witnessing the Last Shangri –La on Earth that allows trekkers to hike along the beautiful landscape covered with lush green forests and splendid view of snowcapped peaks. 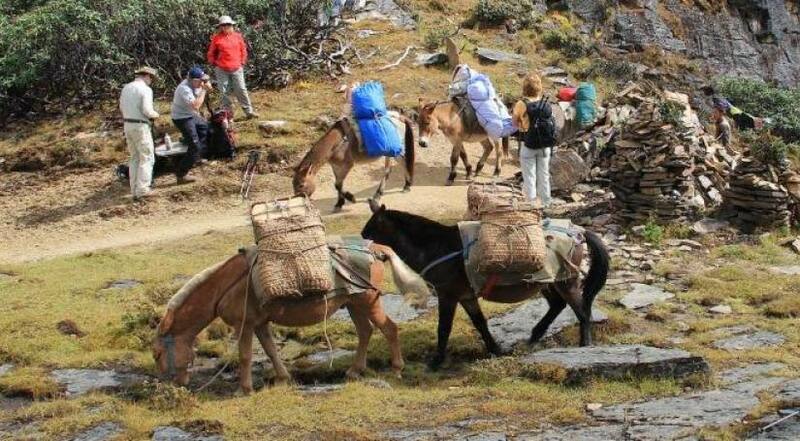 The trekking ranges from low altitude (9,500 ft) to medium (10,500 ft) and very high (16,000 ft). Trekking offers an opportunity to witness stunning views of unclimbed snow-capped mountains. You get a chance to witness and experience the local culture and lifestyle of typical inhabitants in the countryside at its pure form preserved through generations. 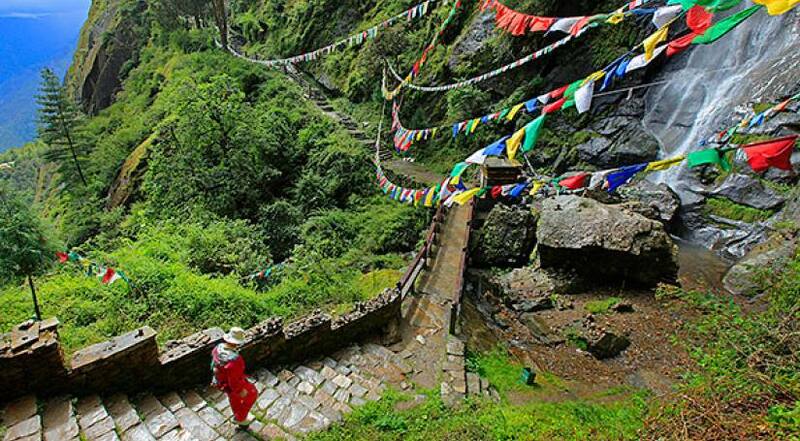 Bhutan has successfully kept up their resources, wildlife and culture in natural conditions. Many travelers find the Buddhism beliefs, monasteries and spiritual values fascinating. You come across peaceful small mountain hamlets which are free of city-life chaos and rush. The local inhabitants that you may often encounter on the journey are warm and friendly people, mostly living in the life of nomads, involving in agriculture and livestock farming. You generally spot them with a heap of cattle in the green highlands filled with wild flowers, surrounded by snowcapped peaks. Since Bhutan has limited the number of traveler intake per year, do not miss your chance to trek and camp in this mystical kingdom. Luxury Holidays Nepal offers following treks ranging from short excursions to the most challenging ones in the Land of Thunder Dragon.